Gnarled and enlarged varicose veins look unsightly and can be painful. Varicose veins are a common condition in the United States, affecting up to 60 % of all Americans. Older women tend to be most affected by this condition. Examine the causes of varicose veins and various treatment options. While varicose veins are merely a cosmetic problem for some, it can cause considerable ache and discomfort for others. Is varicose vein surgery the only option? What are the pros and cons of sclerotherapy for treating varicose veins? Find out answers to these nagging doubts about varicose vein removal. They are easily noticed on the back of calves or insides of the leg. 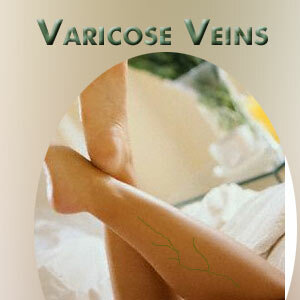 In very severe cases of varicose veins, they rupture and form sores on the skin. If the veins deep within the legs enlarge, it may lead to swelling and pain. Women are more likely to develop varicose veins as compared to men. Birth control pills and HRT can make a woman more susceptible to this condition. People suffering from varicose veins feel throbbing pain and muscle cramping in the lower legs. 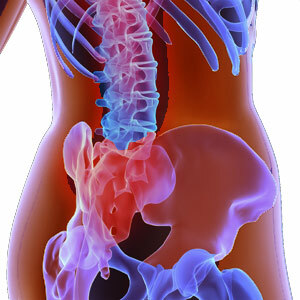 These symptoms are worsened by prolonged sitting or standing. Veins in the legs have to carry blood back to the heart and have to endure high pressure. This makes them the likely spot for varicose veins to develop. This condition is indicative of faulty and weakened valves in the veins. When valves in the legs do not carry blood flow efficiently against gravity towards the heart, blood pools up and the pressure leads to enlarged and twisted veins. Varicose veins are caused by weak valves in the veins that prevent backward flow of blood away from the heart. Venous disease can also cause varicose vein. Varicose veins tend to be more prominent during menstruation and pregnancy. Some persons are more likely to develop this condition, either due to inherited characteristics or hormonal changes. Pregnancy or obesity can place additional pressure on the leg veins and lead to varicose veins. Another condition similar to varicose veins is spider veins. This appears as smaller jagged lines and can be found on the face too. Regular exercise can help in building vein strength and improving circulation. Wearing supportive hosiery can help to some extent. Standing for long periods of time can cause varicose veins since the blood flow is impaired due to the stationary position. Shift your weight from time to time if you are standing for long periods of time. If you have to sit for long periods of time, stand up and move around or take a short walk approximately every 30 minutes. 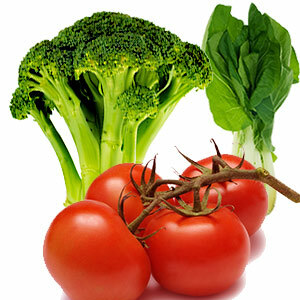 Include high-fiber foods to rule out constipation - a contributory factor to developing varicose veins. Limit the intake of salt to prevent water retention. Sclerotherapy is the non-surgical procedure for removal of varicose veins. With this method of varicose vein removal, the problem vein is closed off so that the blood is rerouted through normal veins efficiently. Sclerotherapy is a surgical procedure that takes about 20 minutes. A chemical called sclerosant is injected into the varicose vein to damage and scar its lining. In this way it closes. This injection can cause temporary burning and cramping in the area. The affected leg is placed in an elevated position to drain blood and pressure is applied over the veins when you stand up to prevent blood return. After sclerotherapy treatment, you may need to wear compression stockings or elastic bandage for a few days to maintain the pressure. Newer procedures with sclerotherapy treatment allow treatment of larger varicose veins that earlier were only surgically litigated and stripped. Before going in for any kind of varicose vein surgery, discuss with your physician. If you are pregnant or nursing, you must avoid sclerosant. For those who have a history of blood clots or inflammation, surgical removal of varicose veins must be carefully considered. Sclerotherapy surgery may result in discoloration of the affected area, which will last for a year or so. Some persons experience scarring that is permanent. Recently this surgical procedure for varicose veins has been modified to use foam like form for better results. Laser surgery is being used to treat varicose veins on the legs. It involves sending strong light pulses to the vein thereby making it fade and disappear. This type of surgery to remove varicose veins doesn't warrant incisions. There may be slight redness or swelling on the skin for a few days after the laser surgery for varicose veins but it will soon disappear. The number of sittings will depend on the severity of the condition. Yellow light lasers, green light lasers and other intense pulsed light systems are used to treat varicose veins. First Published Date: Mar 28 2006 Last modified Date: April 25 2019 This page may have been updated recently as new information is available or the content may have been edited for better readability.